Of course, the YouTube partner program is a very important source of earning money, but there are other methods that a creator can earn money, one of them is MCN. After a certain point for a small team, taking care of all this becomes almost impossible. And that’s where MCNs come into the YouTube channels and creators. The most probability you know about MCN if you are a YouTuber. Therefore, the chances of you knowing anything about MCNs are pretty slim If you are not. People don’t know more about it, even they know what an MCN is. In this Post, you will learn more about YouTube Multi-Channel Network. If you are a YouTuber maybe know the definition of the MCN and you will have a great knowledge about how MCN actually work with content creators on YouTube. Many People have so many questions on the net about more information and details about MCN. YouTubers can work with an MCN, How? People cancel their contracts with MCN, How? The first two questions’ answer is pretty simple. You can wait for the talent scouts of the YouTube Multi-Channel Network to notice you or another way is that you reach out to them on your own If you want to join an MCN. You have to go through your channel’s manager at the MCN If you want to cancel your agreement with the MCN. The third question is not easy. You’d still find the whole process difficult to understand even if you do a lot of internet research. So, let’s know more about that. Let’s first know more knowledge about the terminology right. These are the huge MCNs like Stylehaul, Fullscreen, Machinima etc. They have about thousands of channels under their network’s umbrella. Subnetworks or Virtual Networks come under the YouTube Multi-Channel Networks and manage the front end processes like scouting for talent and helping them in optimizing their YouTube channels While MCNs take care of critical matters like bringing in newer revenue streams, partner payout management etc. Two examples are PewDiePie’s revel mode and RPM Network. Content Aggregators are the smallest type of YouTube networks either through a sub-network or under an MCN directly. They usually gather similar content creators and usually help them in editing, production etc. Around a couple of years ago, creating an MCN was not as complex as it is now. 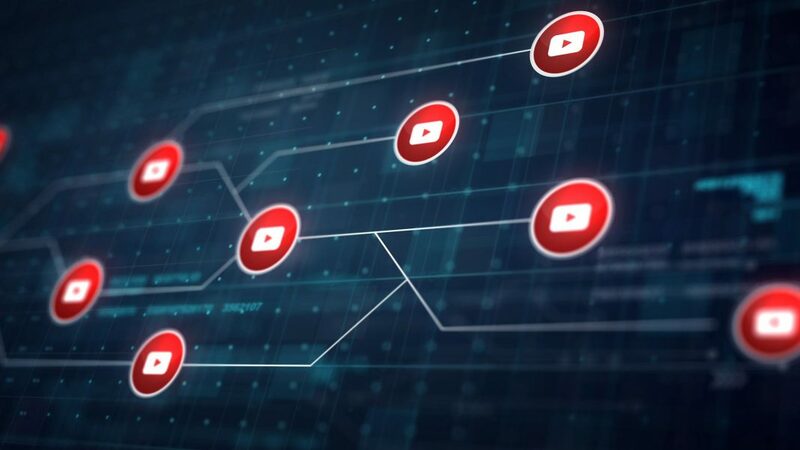 During this time, the ecosystem of YouTube has grown so huge, therefore the rules have become more stringent and it is complex than ever to invited or be accepted by YouTube to become an MCN. Make sure that the plan is slight and clean with control over the overall expenses. You need to be best or first in on the type of content that you want to aggregate or create. Search for YouTube channels that generate such content. Find as many channels as possible and connect to them. Help them optimize their channels and earn more money by Signing channel management contracts with them. Keep in mind that an MCN is about helping YouTube creators make more money. When you have a valuable number of channels associated with you, join a well-known MCN. You’ll get technical assistance to manage your channels better if MCN accepts you as a sub-network. Remember, that you need to deal with some percentage of your revenue that you receive from your network of channels to the MCN. Help to grow your partner channels. When you have requirements like enough channels, views and watch time, now you can reach out to YouTube and start your own CMS (Content Management System) and an MCN status. To get discussions and interaction between creators, it needs a Communication dashboard that contains Forums and messaging capabilities. With the technological infrastructure in place and the business plan, achieve potential investors get some funding. Keep in mind which having your own production facilities, a well thought out content strategy, a team, and technology improve the chances of funding. Once you have all of the above in place, now aggressively scout then sign channel management contracts with some YouTube channels that resonate to your content strategy. Lastly, now you can with your proposal to Achieve to YouTube through Partner managers. YouTube will give you your own CMS along with the MCN status if it believes that your plan is good enough. It is not an easy task for most people to get access to YouTube’s Content ID system. In this system on YouTube, there are many types of video contents that are not eligible for Content ID. That’s why it is vitally important that you choose the channels while you’re hiring and ensure that no channel in your network breaks the rules for Content ID. To check out the types of video contents that are eligible for content ID please Click here. There are some Multi-Channel Networks out there which find for already established huge YouTube channels of media houses for their network. Maybe this gives the network a whole lot of views, but it is not a great long term strategy. Don’t accomplish contract terms with the big channels just to get them embedded. You must ensure that you find original content creators who can stay with you for a long time. It is always recommended to concentrate on one specific content type. For example, Machinima just focuses on the Gaming and Stylehaul focuses just on Fashion and Lifestyle vloggers. It has a network of about 30,000 content creators who reach around 150 million viewers each month, today it is the largest gamer and gaming-focused YouTube MCN. It was acquired by RTL for about $36 million in 2013. It was bought by Otter Media in September 2014, a joint venture between AT&T and the Chernin Group. It is YouTube’s premier fashion, beauty, and lifestyle MCN, it now partners with about 6,000 content creators to gain around 500 million viewers daily. It created in 2012, it has gained the milestone of about 100 million monthly users and around 1 billion monthly views in a short time. If you do online research about this topic, therefore you would understand that there many negative sentiments about MCNs too. But reviews them can’t be the perfect indicators to measure the value of MCNs. There are many YouTube creators out there who have benefitted by partnering with Multi-Channel Networks. So, look for the best MCNs in your niche when the going gets tough and you need a helping hand to run your online video business, therefore do good research about them and join to the best ones.